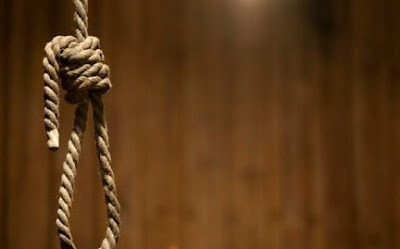 A 10-year-old boy was reportedly found hanged in Ujevwu, Udu council area of Delta State, leaving the entire community in fear. The boy, identified as Emmanuel Raphael, was reportedly found hanging on Friday after returning from school with his younger sister. Though being suspected as a suicide, the circumstances surrounding his death have not been unravelled. It was gathered that it was the second time the deceased had attempted to kill himself. Emmanuel, who was living with his father, Mr. Raphael and his step-mother, a money lender, allegedly hanged himself with a wrapper tied to an iron bar in the corridors of their bungalow after he reportedly woke up from a siesta. A source narrated that, “Emmanuel woke up from sleep and was laughing, suddenly he went inside to get a wrapper, he tied it to the iron bar, while standing on a chair. He swirled the cloth round his neck and then kicked the chair away from under his feet. A source stated that the deceased, about two years ago, had attempted to take his own life in the village while living with his grandmother, but he did not die following the swift intervention of the grandmother who was around when he made the attempt. Alleged efforts to save the boy proved abortive as he was said to have died on the way to the hospital. When contacted, the State Police Public Relations Officer, Andrew Aniamaka, said he had not been briefed about the incident.